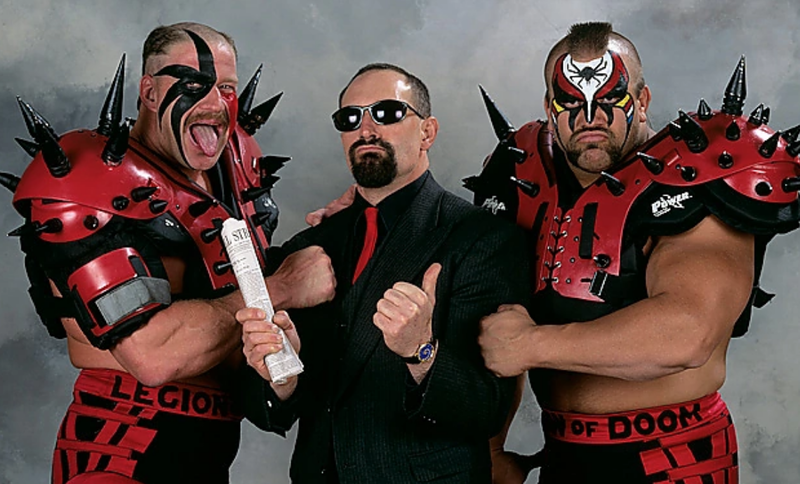 One of the greatest tag teams of all time is without a doubt the Road Warriors. I remember at an early age seeing Hawk and Animal in action in the AWA. The duo was like no other at the time. 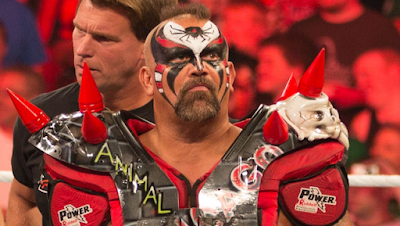 Face paint, crazy haircuts, spikes and lots of muscle. The Legion of Doom rolled through everyone they faced eventually winning the gold in the AWA, NWA and WWF. Sadly, half of the team, Hawk, died in 2003. Animal has continued on and had a brief run in WWE in 2006. I saw him at the Bacon, Bagels and Biceps Brunch at WrestleMania 22. Then in 2011, I was in the crowd as the Warriors and their longtime manager "Precious" Paul Ellering were inducted into WWE's Hall of Fame. Now the Legend is headed to southern Illinois. 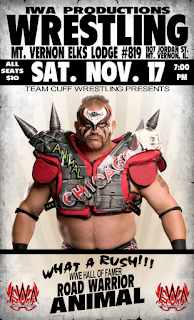 Animal will be at IWA Productions this Saturday night (Nov. 17) at the Mt. Vernon Elks Lodge. Tickets for the evening, just ten bucks and proceeds go to the Team Cuff Youth Wrestling program. 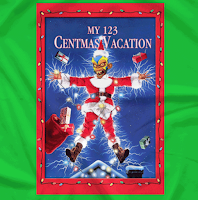 Many of you read my blogs about Stride Pro Wrestling and you'll see many members from that roster Saturday including Ax Allwardt, Dexter Roswell, Heath Hatton, El Magnifico, Jay Spade, Farmer Billy Hills and Hollywood Redneck. I'm looking forward to this show as it'll be my first opportunity to meet Animal. It's also been more than a month since I've announced an entire show. Last weekend I did the Impact Wrestling tryout but it's not quite the same as announcing in front of a live crowd of fans. Be sure to join us. Bell time is 7 p.m.